The BBC will be giving away these tiny computers to 7th graders next year so they can use them to learn to code. They plan on giving away about 1,000,000 devices. It may seem odd that the British Broadcasting Company would be involved in getting computers into kids hands but this is not the first time. 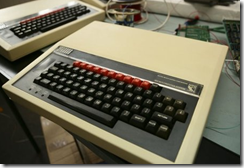 Back in the 80s the BBC subsidized a small basic computer built by Acorn, it was called the BBC Micro computer. Because it was so inexpensive, they managed to get them into most UK schools. A whole generation learned to program on them. 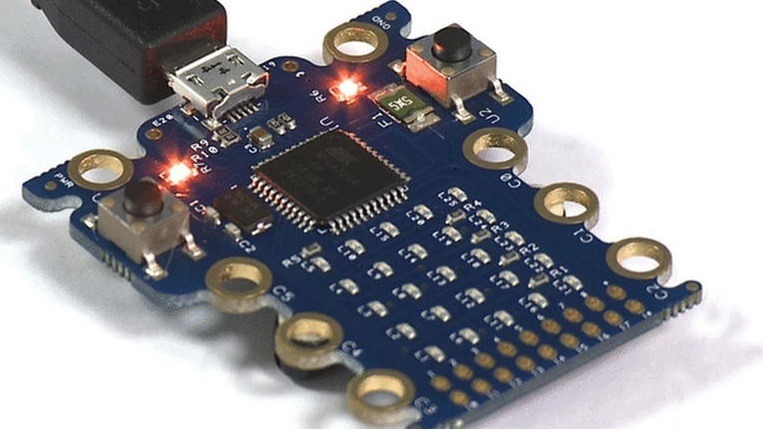 A large portion of the cost of the Micro Bit is being covered by companies like Microsoft and Google. The BBC is supporting the effort with a program called “Make it Digital” with shows and content aimed at promoting digital technology. When the creators of the Raspberry Pi came up with their product, they were trying to replicate the access and impact they enjoyed with the BBC Micro when they were kids. The education system in the UK is taking this idea of teaching coding to kids seriously. I don’t say this because of this computer give away, but because all schools are now required to teach coding. Why is this a higher priority in the UK than it is in the US? This tiny computer (it’s the size of a book of matches) seems to me to be very similar to a low end Arduino. That means to program it you will need a “real” computer, a laptop or a desktop although it could be an old basic model. You write a program on your computer, download it onto your Arduino/Micro Bit then the program automatically starts running on the tiny device. It can be powered by a coin cell battery. It may make some LEDs flash, maybe buzz a buzzer, perhaps even take some input from a sensor. The effects will not be spectacular. But that’s not the point. Giving a kid a piece of hardware like this is the complete opposite of giving a kid an iPad. Turn on an iPad fresh out of the box and it’s all there for you, games, music, apps, web surfing. You can be consuming mass quantities with little to no technical understanding in minutes. Plug in one of these little boards fresh out of the plastic bag and it does nothing. Maybe a light will come on showing you it’s powered up but that’s it. You want to make one of the lights flash on and off, well roll up your sleeves, we are going to have to write a little program. It’s like learning about food and farming by being given some seeds and a trowel vs. being taken to the grocery store and buying several bags of fruits and vegetables. In one case you will spend just about all of your time trying to grow your seeds to maturity, it will take a long time and you will make many mistakes. In the other case you will spend most of your time eating what your bought at the store, it won’t be hard at all, you will like some and not like others. Like most things, the more you invest in something (or someone) the more you get out. Learning to make a computer do what you want isn’t for everyone, but there is software running in everything from our alarm clock to cash registers to the application that is absolutely essential for the company we work for to stay in business. People who have been exposed to the basic building blocks that make up technology are better off than those who have not. A bunch of kids in the UK are going to discover they kind of like learning how to farm these little programs. It’s going to be exciting to see what they grow.